available throughout the Mid-autumn festival & October National Holidays. Contact us to inquire about the Bring A Friend Offers. MIND, BODY & HEART form the three main pillars of holistic practice on our journey of self-discovery, empowerment and healing. Whether you are experiencing a block in your life, need to heal physical and/or emotional traumas, or simply needing a deep, grounding relaxation and an emphatic ear, working intensively through one-on-one private sessions could offer useful insights and kick-start your inner self-healing process. Depending on the goals, requirements, preference and lifestyle of each individual, each session is customized to assist the healing journey and achieve optimal results. The above modalities are also available in workshops and courses for further learning. Please contact us for details and bookings. The most important step is to understand and identify your specific requirements. This is done in the first private consultation that guides you through an evaluation process, resulting in a customized empowerment road map design with recommended sessions or courses to participate. The process consist of an initial consultation (45 mins), a healing session (60 mins) ending with a feedback session (15 mins), lasting a total 120 mins. To be taken prior to all drop-in sessions as the beginning of your journey to empowerment. Feeling stressed, stuck, fearful and doubtful? Past wounds? Restlessness? Spiritual awakening? Or just simply needing a deep, grounding relaxation and an emphatic ear? A counseling session provides a safe, non-judgemental space to share your honest thoughts and emotions openly. It will also assist you in gaining valuable insights, kick-start your inner healing process and journey to self-empowerment. When compromised for time or bound by distance, an online session would be the best solution to continue the work, offer consistent guidance, motivation and support whenever we might need it. Apart from counseling, guided relaxation and simple exercises can also be included to fit your goals and requirements. The focus is on breath awareness, using various Pranayama (breath work) techniques to balance our entire bodily system. As a result, the mind quiets, emotions become peaceful that sets the tone for meditation. Although props such as cushions, blocks and towels will be used to help make sitting as comfortable as possible, students must be prepared to sit for long periods of time. Students are also advised to keep an open, positive mindset and expect whatever feelings or emotions that may arise during meditation. Once you managed to maintain a quiet mind and a calm heart, be prepared to enjoy the blissful inner calm within yourself. Especially recommended for anyone who is interested in self-inquiry, exploring inner reflection within themselves, inner peace and self-healing. Similar to an Energy Healing and Sound Therapy session, the facilitator will gently guide the receiver into a deeply relaxed state of meditation. Imagine your life story as a movie, with you as the director and the facilitator as the producer in the background offering support as needed; all that is revealed would be driven by your soul’s purpose and pure intentions to heal, gain understanding, resolve the issue at hand or simply let go of people/events/belief systems that does not serve you anymore. Just as we would perform an operation on our physical bodies for treatment, this is carried out on our subtle energy bodies that includes the mental, emotional and soul body. Long-standing fears, belief systems, memories, anxiety, repressed thoughts and emotions will be brought to the surface to be gently released and healed. Deeply healing and liberating, this is a wonderful way to renew your way of thinking and therefore changing your behaviour. This method of healing has proven to be highly efficient whereby the subconscious mind work intricately with the subtle energy body while empowering the receiver to take charge of his/her own situation. Highly recommended for those wishing to obtain insights and better understand themselves, make peace with difficult relationships, assist positive change with addictions or behavioural patterns and move past traumatic experiences. I consider this as one of the best ways to help oneself on the path to spiritual transformation and healing. Gentle yet efficient, therapeutic and meditative, this practice is suitable for all bodies and backgrounds. It’s especially good for those who have injuries, are compromised physically/mentally, also helpful for those who need to balance out their exercise routine with deep stretching, muscular release to assist recovery and relaxation. Fusing Yoga Therapy, Feldenkrais, Sound/Breath/Movement, Pranayama (Yogic breathing), Meditation and Sound Healing, each session is uniquely designed to adapt to everyone. You will learn and be encouraged truly listen to your body’ needs, tune into your mental state and allow your emotional expressions to be heard. The student will learn from the teacher on a one-on-one basis as taught traditionally since ancient times. Personal attention means the teacher can focus entirely on what you need and help design a personal programme to meet your targets. Classes will be specifically tailor made to suit your current situation and done at your own, comfortable pace. This is especially important for beginners as the pace will be slow, the session thorough and precise to ensure maximum learning. The programme will be adapted according to the development of your practice and any relevant changes in the progress. Learn Yogic techniques to relieve common ailments like back pain, weak joints, insomnia, headaches and so on. Using powerful principles of Iyengar Yoga and Yoga Therapy as well as other forms of Yoga, the focus will be on proper breathing, proper posture and precise alignment for a safe, effective practice. These are highly therapeutic approaches to exercise, heal injuries, meditate and rebalance the whole body, mind and spirit. Come experience the deep peace and joy emanating from within after your practice. Your body, mind and spirit will thank you for it. Energy Work is an umbrella term encompassing Energy Healing, Reiki, Sound Therapy, Crystal Therapy and Aromatherapy. Energy Healing is a simple, natural and safe method of healing and self-improvement that everyone can benefit from. Many case studies have shown the positive, beneficial results in virtually every known illness and malady. It has also been proven to work in conjunction with all other medical or therapeutic techniques to relieve side effects and promote recovery. Just as we have a massage to release physical tension, the mind needs to calm down, plus emotions from the heart are also taken care of. Energy Healing is a form of detox as we clear repressed emotions, stressful thoughts and stagnant energies within us that often cause ailments and diseases. Suitable for everyone, especially caretakers, those suffering from ailments and facing life challenges, no experience is required. Especially recommended for anyone who suffer from a stressful lifestyle, works as a caretaker, challenged by an illness or injury, and those who wish to awaken their potential in personal growth and spiritual development. Healing an injured doggy – yes, all living creatures appreciate and can benefit from love + healing! Using the breath, voice work, ancient Tibetan Singing Bowls and other instruments, we explore sounds as a vibrational tool for healing and wellness. We will also tap into harnessing the potential of our own voices as a direct and powerful healing practice. Sounds carry powerful vibrations that can interact, repair and heal the subtle energies within our physical, mental, emotional and energy bodies. It ground us, promotes deep peace, de-stress our overactive minds, opens and heals our emotional wellbeing, among many other benefits. Especially recommended for those who love and respond well to music and sounds, facilitators and teachers who uses sound and music for their work. All crystals contain vibrations that could be harnessed for the purpose of healing and balancing our subtle energy system in the mind, body and heart. Since ancient times, crystals are considered as one of the most sacred gifts from nature with its many functions. Furthermore, it is also a useful and creative tool in Colour Therapy due to its abundance of colours, shapes and sizes that holds specific meanings and interpretations. During a healing session, receivers are invited to choose a crystal they feel connected to by tuning into their intuition and instincts. The crystal is then used in conjunction with other modalities during the treatment to maximize the healing process. Especially recommended for those who love and respond well to colours and textures, people who already have a practice in the healing arts like Meditation, Yoga, martial arts and so on. Aromatherapy is the art of using plant materials and aromatic plant oils, including essential oils, and other aroma compounds for improving psychological and physical well-being. Working with the olfactory system, or sense of smell has been proven to effectively deepen the healing process and enhance the overall experience. As with all objects, especially objects from nature, they carry vibrations that could become powerful tools for healing and regeneration. Receivers will enjoy the many different benefits from various oils, especially the customized blends from SSHA which are based on the needs of each individual. Especially recommended for those who have a keen sense of smell and sensitive to vibrational medicine. Q1: What Happens In An Energy Healing Session? All that is required is for you to just relax, let go completely and enjoy the process. There is nothing to prepare. To maximize the healing potential of the session, completely allow yourself to feel, observe and experience all your senses, emotions, thoughts, feelings, reactions. Depending on the individual and their current life situation, some people may experience strong emotional response during the session. It is a healthy release. Recipients often report a deep sense of inner peace and balance upon waking up. As all holistic practices are self-adjusting and help balance our entire systems, you may have an urge to sleep afterwards (indicating the need for complete rest and/or a closer look at their health), or you may feel very active and energized. Sometimes even though one may not feel much after a session, the body’s healing mechanism would have nevertheless kicked start and will continue to do so. Energy Healing could be regarded as a form of detox as we clear repressed emotions, stressful thoughts and stagnant energies within the MIND, BODY and HEART. Q2: Who is it for? Everyone! Regardless of your age, background, history and reasons, we can all benefit from gaining a better understanding ourselves, heal, and be inspired by empowerment. Works as caregivers or gives energies to other such as Yoga Teachers, Counselors, Healers, Physiotherapists, parents, teachers etc. As long as you have the desire and intention to learn, anything is possible! These sessions teaches us to empower ourselves by not succumbing into the victim mentality and learn how to be adaptable in all kinds of situations. In the process, profound self-transformation enfolds as we take charge of our life that is enlightening, humbling and triumphant! Suitable for all, especially caretakers, those feeling stuck in life, suffering from ailments and facing life challenges, no experience required. Q3: Why should I have a private session? A private session means a one-to-one session that is customized, adapted and carried out to fulfill your specific goals and needs. This also means undivided, focussed attention on you to maximize the outcome. Strict confidentiality and professionalism further helps to create an environment of trust and encourage good communication. 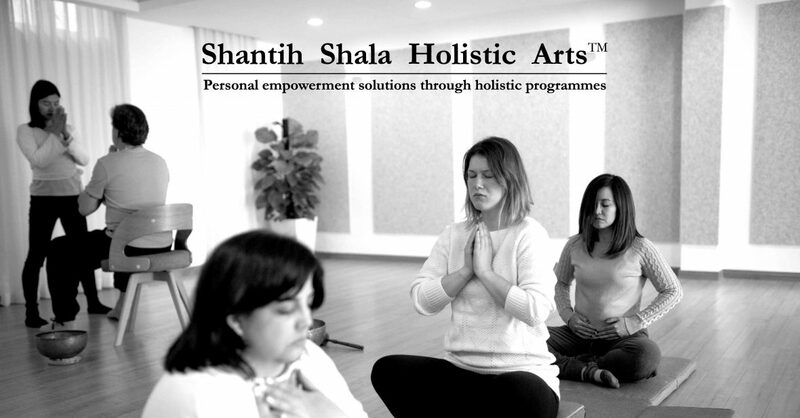 We offer safe, natural and efficient methods of holistic modalities that everyone can practice, enjoy and benefit from. Proven to effectively help all illness, conditions and situations, it also works in conjunction with all other medical or therapeutic techniques to relieve side effects and promote recovery. Just as we have a massage to release physical tension from the body, the mind needs to calm down and emotions from the heart are also taken care of. These holistic techniques are a form of detox as we clear repressed emotions, stressful thoughts and stagnant energies within us that often cause stress, ailments and diseases. Q4: How often shall I have a treatment session? There are no strict guidelines or limitations to the frequency of treatments. All holistic therapies are naturally safe and self-adjusting, hence there is no possibility of an overdose. As a reference, most receivers often choose to have weekly sessions to optimize recovery and maintain a productive momentum; results are very positive especially when combined with diligent homework practice. Depending on your situation and requirements, we can help recommend the most suitable schedule for you. Anyone, regardless of your age, background, history and condition can benefit from these private sessions. Here a disabled lady practices deep breathing while stretching her spine before the healing treatment begins. Q5: What are the benefits of these treatment sessions? Q6: Who will be my facilitator? You will be working with SSHA founder and leading therapist Josephine Ong is based in Shanghai (China), managing SSHA’s The White Room, a healing and coaching space located at the heart of the city. A Malaysian with over 10 years of teaching experience, Josephine is a skilled and internationally recognized Wellness Therapist, Energy Healer, Yoga Teacher and Personal Trainer. She often travels globally to deliver SSHA programmes in China, France, Thailand, Malaysia etc., furthermore working with international health resorts including Six Senses, Chivasom, LivNordic spa, Viking Cruises, etc. 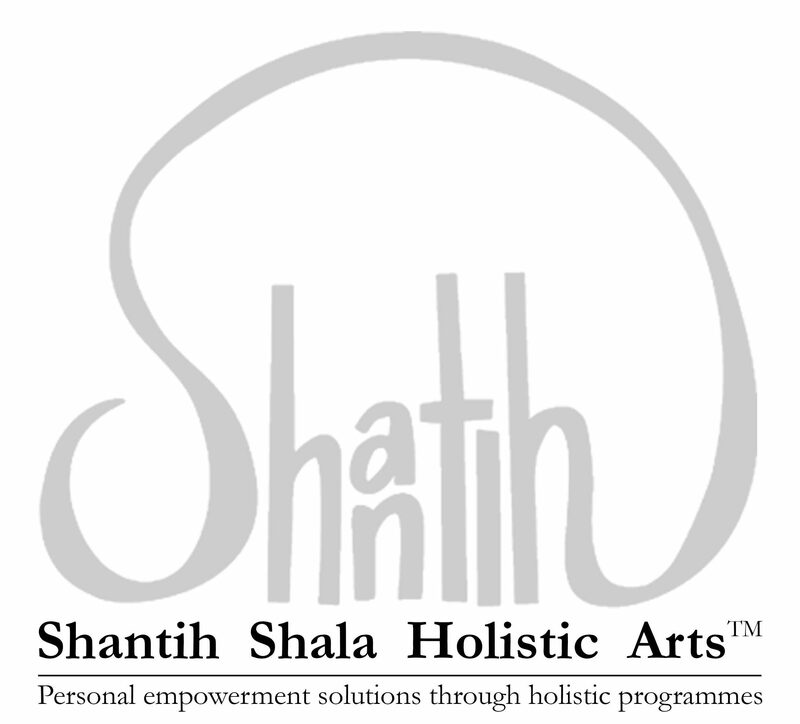 as a Visiting Practitioner and Alternative Wellness Therapist. Q7: Where will these sessions take place? All sessions will take place at The White Room at Xujiahui, a very convenient and central part of Shanghai. Detail directions and map will be provided upon RSVP.